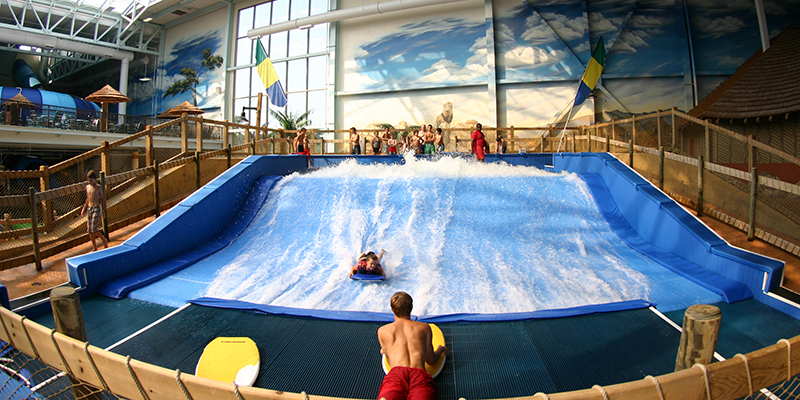 Building on the wave of success of the Kalahari resort in the Wisconsin Dells, Kalahari wanted to design and build a second indoor waterpark for its newest location in Sandusky, OH. ADG was hired to utilize existing 80,000 sf footprint and incorporate spaces for revenue generation through retail and F&B with a practical design plan for future expansion. 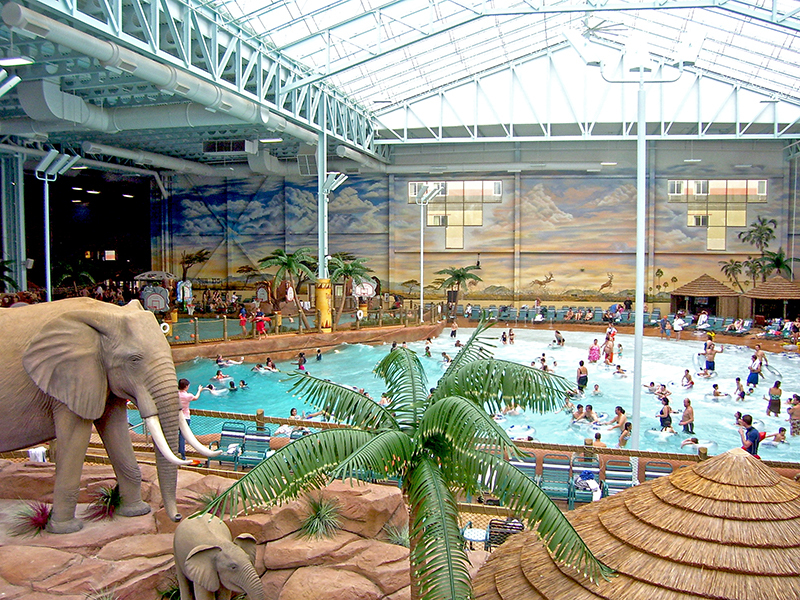 ADG designed and built the original Kalahari waterpark to ensure not only a positive customer experience but future expansion needs as well. 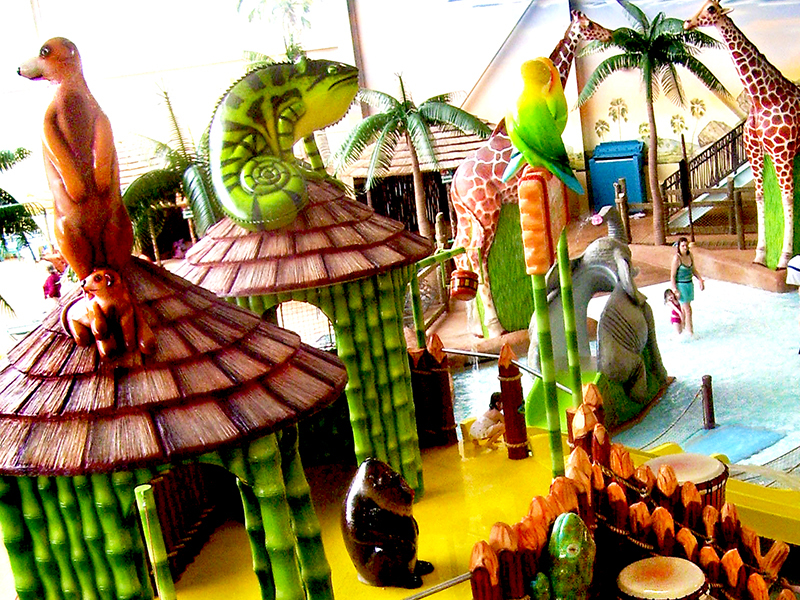 Enhanced with African theming woven throughout, a series of unique ride attractions were incorporated including the world’s first indoor Double Flowrider® and the world’s only “Zip Coaster” indoor water ride. Expanding on their original design, ADG began phase two with the f&B area, adding a mezzanine with two waterslides to maximize volume and increase capacity. Other innovative additions included ADG’s Texlon® Transparent Roofing System and a14,000sf indoor wave pool with zero-depth beach entry and six foot waves. 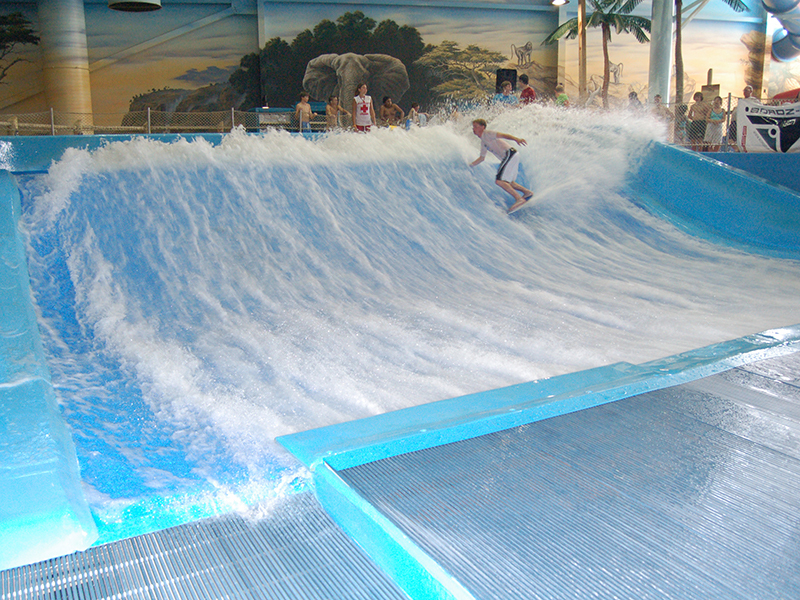 A second indoor double Flowrider® was also added to meet growing demand. 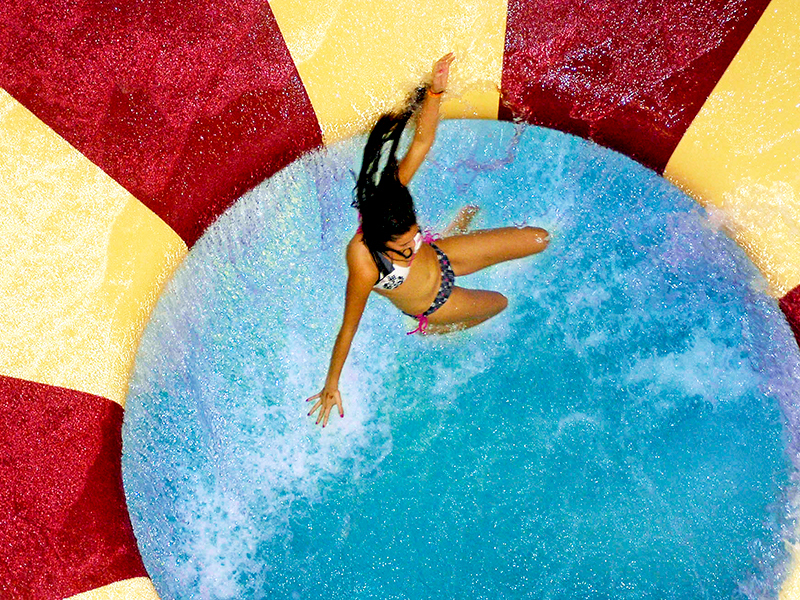 Exciting new slide complexes, swim-up bars and cabana areas completed the updated resort. 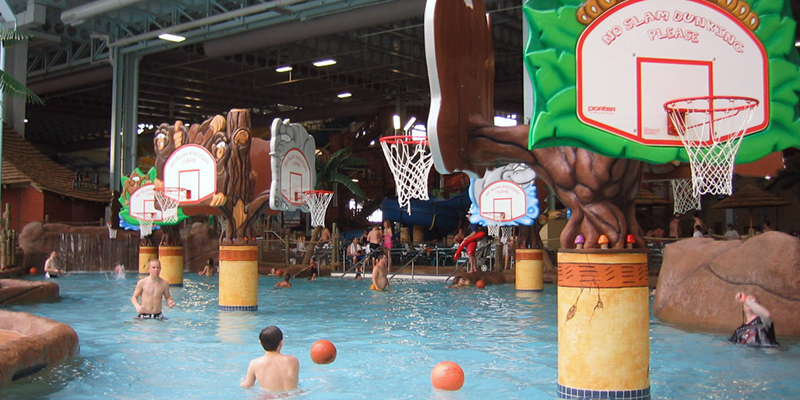 Over the years, Kalahari Resort has continued to add guest rooms, making it the largest hotel in Ohio at 884 rooms. 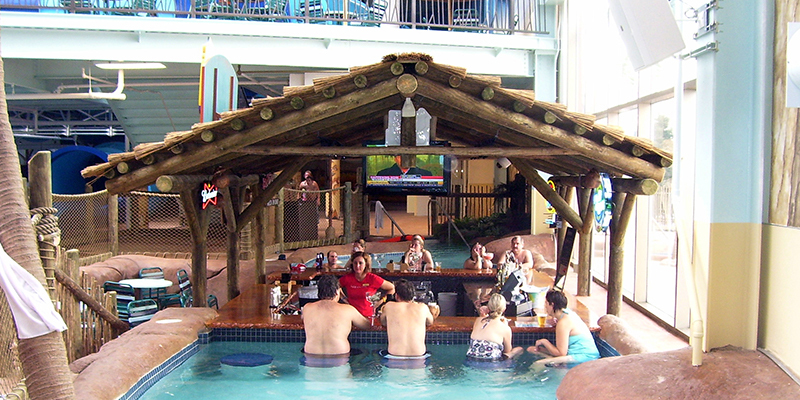 Featured nationally in publications like Business Week, USA Today, NBC’s “The Today Show,” ABC’s “Good Morning America” and CNBC’s “Mike on the Money,” Kalahari continues to garner press and enjoy the success as an in-demand customer destination.